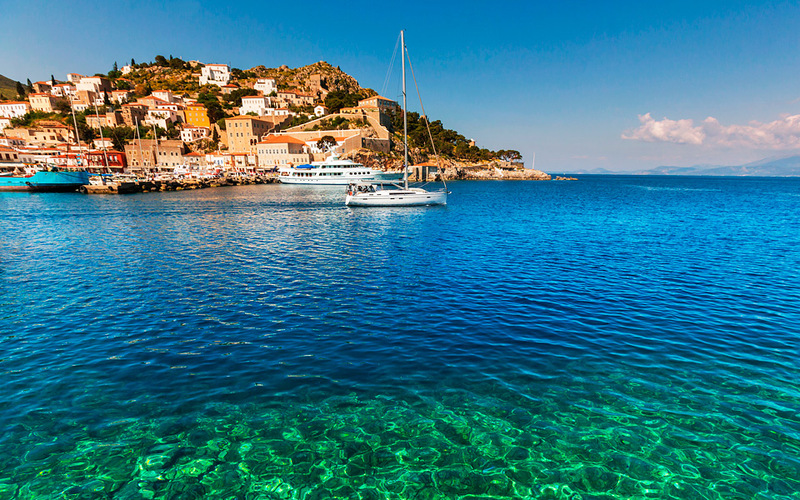 The “Grand Lady” of the Argosaronic Gulf, Hydra has been amphitheatrically developed around its port. The island’s houses, cube-shaped with tiled roofs, sit together in a tightly knit formation, as depicted in the work of Hydra artist Nikos Hatzykyriakos-Gikas. They stand proudly to reflect the island’s maritime history. A mansion housing the Merchant Marine Academy stands among them to the right side of the town when looking out to sea. The academy at this building – originally belonging to Lazaros Tsamados and Maria Sahini, associated with the island’s prominent shipping tradition – has operated since 1739. Hydra’s considerable number of ship owners established this private-sector educational institution to train crews and skippers. It was the first Merchant Marine Academy to be established in the world. 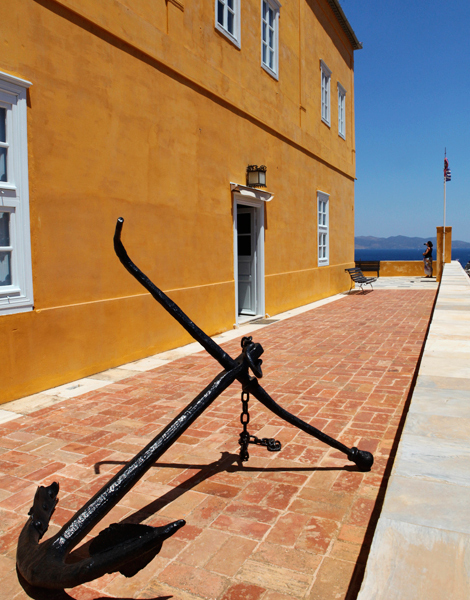 Located at the same side of the town, the Hydra Historical Archive-Museum maintains a rich permanent collection. Hydra acquires particular interest for art enthusiasts during the summer months. Over the years, the island has stood as a major draw for artists. It continues to attract artists of various artistic fields, giving the island a contemporary artistic identity. The old slaughterhouse – which has recently been restored and renovated – is now a project space dedicated to the DESTE Foundation for Contemporary Art. Another notable place is the now-customary Old School Project, organized by Dimitris Antonitsis and located at the old Hydra High School. Do not skip visiting the Hydra Workshop, a fabulous little gallery near the Fine Arts building. The endless partying on Hydra during the 60s, which generated worldwide fame for the island, may be long gone, but it still maintains a cosmopolitan aura. The nightlife on the island is nowadays mild. Interesting private parties are hosted at houses and on yachts. 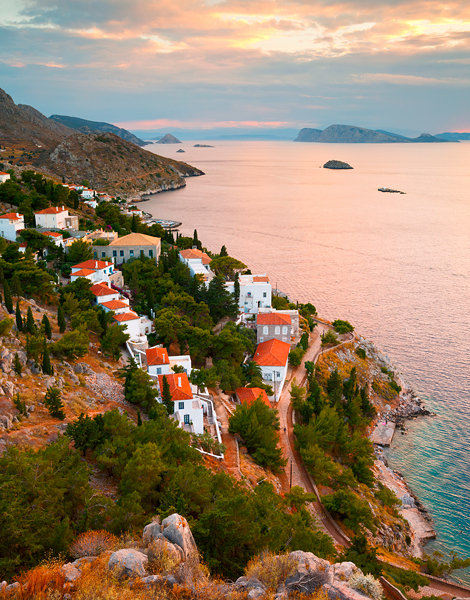 Hydra remains romantic and attached to its history. Visitors may take a ride on one of the local mules and feel like foreign tourists in old black-and-white Greek films. The only way to truly get to know Hydra is by exploring its cobbled paths or trails beyond the village, high up, all the way to the Prophet Elias (Profitis Ilias) monastery. More recently, an effort to highlight these routes is being made through the staging of the Hydra’s Trail mountain running event. Along the way, take a dip at Spilia and Ydroneta. Also board a little boat all the way to Bisti, the island’s southernmost cove, and Aghios Nikolaos beach, located southwest, for good swimming. The Miaoulia festivities (held annually, June 23-26), honoring Greek War of Independence naval hero Andreas Miaoulis, feature reenactments and firework displays. Later in the summer, in August, the island celebrates its Kountouriotia event, a tribute to Hydra admiral Pavlos Kountouriotis, the first and third President of the Second Hellenic Republic, Greece’s political regime between 1924 and 1935. In October, the island hosts competitive sailing events. Daily routes are offered by flying dolphins and catamarans from Piraeus port. Sailing times range between 1½-2 hours and cost between €49.50 and €56 return. 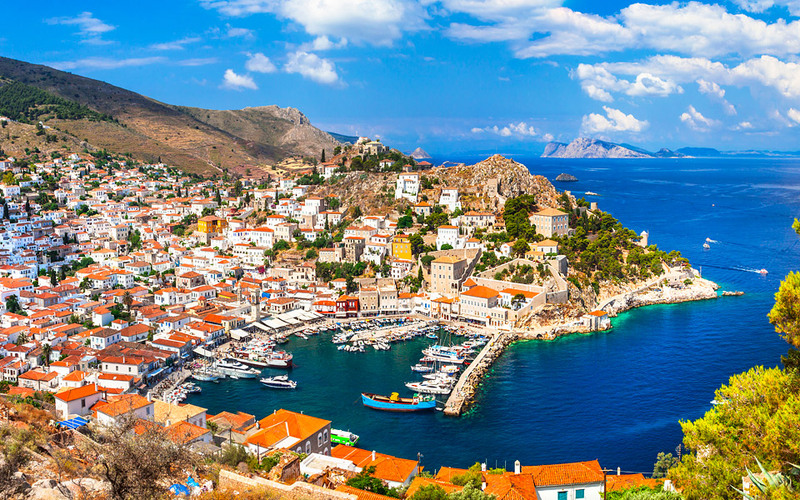 Hydra may also be reached by driving to Metohi and catching a boat or sea taxi across to the island, a short 12-minute ride.